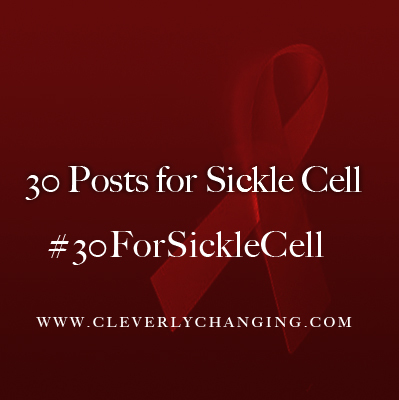 One common complications of sickle cell disease and sickle cell anemia (SCA) is a stroke. Children, even babies are at risk of having a stroke because their sickled hemoglobin could possibly block blood flow and prevent oxygen from going to their brain properly. Reports show that a stroke occurs when the large arteries are damaged by the sickled red blood cells, which stick to the vessel walls in the patient’s brain (source). Doctor’s monitor the blood flow in a child’s brain annually with a Transcranial Dopplar Test (TCD). The test is given with an ultra sound machine, which helps the technician listen to blood flow and take pictures of the patients brain waves. One of the treatments to prevent a stroke is for at-risk patients with sickle cell to receive blood transfusions. What are some of the risk factors associated with a stroke in patients with SCA? To learn more about the subject, I recommend Blood Journal’s article “Sickle cell disease and stroke” by Luis A. Verduzco and David G. Nathan. American Society of Hematology. Sickle Cell Anemia: A Patient’s Journey. Youtube.com. Retrieved September 17, 2014 from http://youtu.be/2CsgXHdWqVs.